Caring Senior Service of Austin believes that everyone deserves GreatCare®. Our GreatCare® method addresses the three most important areas of concern; quality caregivers, care solutions and active involvement. For over 25 years Caring Senior Service has set the standard for senior home care services such as, personal care, meal preparation, and housekeeping. Our care solutions are tailored to fit the unique needs of each client. By using quality caregivers and maintaining active involvement we give seniors the control they need to live healthy, happy and home. Don’t you deserve GreatCare®? We know that great service can only be delivered by qualified, experienced staff. At Caring, we make sure our Caregivers have the right personality and skill level to ensure our clients receive quality senior home care. 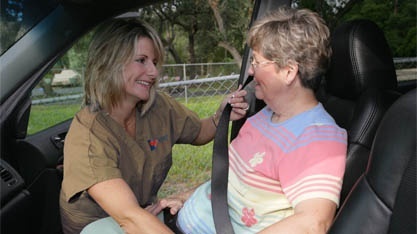 Our caregivers must have a minimum of one year experience or have passed the state certification to become a nurse aide. This means all of our caregivers are experienced and trained to provide services to our clients. Our caregivers must provide references so we can verify their experience and contact their former employers. This provides the assurance that our caregivers meet our high standards of trustworthiness and work values. Our caregivers go through a rigorous interview process and we select only the most professional, responsible and compassionate individuals. This means we are able to match our caregivers and clients based on both skills and personalities. Our caregivers have been screened with identity verification and an exhaustive criminal background search in all 50 states. Furthermore, we conduct bi-annual background checks on all caregivers. This ensures that our caregivers have not had a criminal past and that you are protected. Our caregivers receive direct training on skills and conditions. We provide each with access to our internal library of over 63 continuing education courses and make sure they have thorough knowledge of any condition they will be working with. This means that our families can rest assured that their caregiver is knowledgeable about the care provided. Each situation is different and unique and there is no one solution that works for everyone. Our method combines services and safety care products to make sure you can remain safely at home. We complete a full assessment with each client using our formulated consultation tool. We look at IADLs, ADLs, social needs, emotional needs and financial needs. Our consultation process provides the family with a complete assessment of needs, and they can make an informed decision on care. Each client receives an individualized service plan that is based on input from them, their family and includes our professional recommendations. The plan includes services provided by our caregivers, home safety products and vendor services where appropriate. This provides families with highly personalized service plans that are tailored to their specific needs. Our clients each receive a 43-step home safety survey that includes review of each room of the home to make sure any issues are addressed. This provides the senior and their families with assurance that services can be delivered safely, and helps them make the necessary changes to keep the home environment safe. Our client's personality is factored into the process. We want to make sure that not only does the caregiver possess the skills needed to properly assist, but the personality traits they enjoy are matched. This helps everyone in the equation, and assures good matches to avoid disruption. Our clients all receive a personal introduction to any new caregiver that will provide them with care. This introduction includes an overview of the caregiver's skills and personality, and provides an opportunity for our supervisors to orient the caregiver to the client's home. This provides the client with continuity and helps ease the stress of changes that may occur. Our staff is available 24 hours a day and we always have the phones answered by Caring personnel. This means that when you need to reach someone to address any issue, you can. 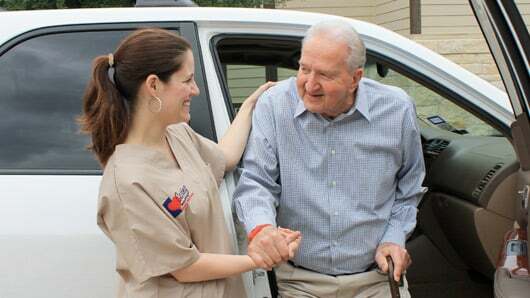 Our staff makes visits to the client's home as often as necessary to provide the excellent care for which we are known. Our visits are both scheduled and unscheduled. These visits allow for us to make necessary adjustments and maintain a high level of quality. Our staff attends physician visits with clients and family to make sure that we can inform the physician of any observations and to gather information directly about any changes that need to occur. Attending physician visits allows us to keep all professional care providers aware of changes and potentially set up additional care services. Our staff makes sure that all other professional care providers are informed of the status of the client as necessary. Since we are often there for the most amount of time, our services are the eyes and ears for other healthcare providers so they can be proactive in their care approach or be alerted to early warning signs. Our staff assists clients with every aspect of maintaining their independence. This often includes assisting with arrangement of other non-care related services. We maintain a highly qualified and screened list of vendors to provide a plethora of services. This means that our clients have an additional level of protection when receiving any services in their home.